In the last few weeks, we have had an array of furniture, glass, china and objects arrive onto our showroom floor. Please have a look at some of the new pieces in our New Arrivals gallery, or drop into the shop when you have time. We have just added some new pictures to our New Arrivals gallery. Please have a look at them when you have time! I’m now back from my latest buying trip to France and the UK- the weather was terrible, but buying was good! Pictures of some of my purchases can be seen in our On the Water gallery. While I was away, two new containers have arrived. Check out our New Arrivals gallery for a look at some of the new pieces. 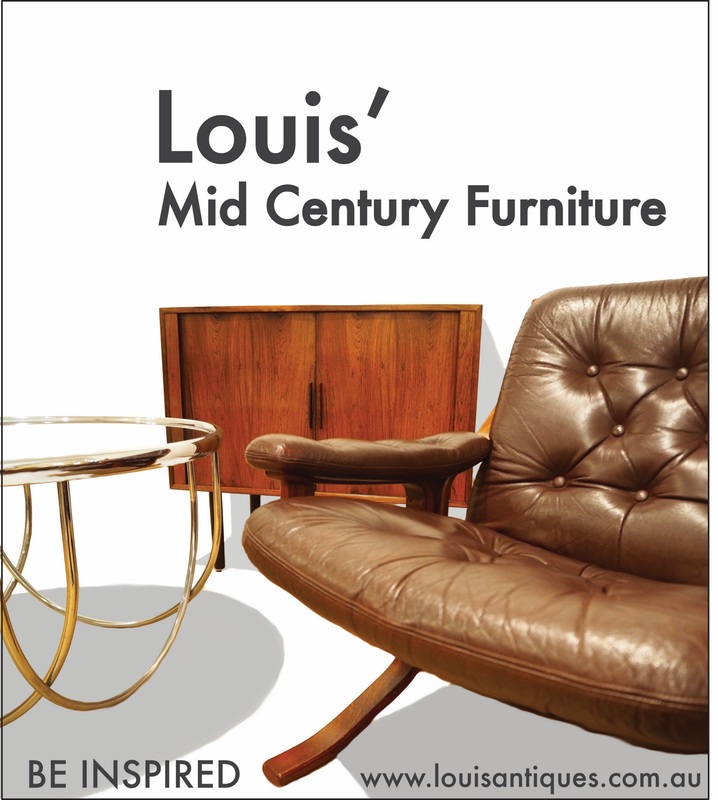 Louis’ has branched out into mid XXth century decor and furniture! Some of you may want to have a peek at the new mid century gallery on our website. We will also be posting pictures of some of our new stock on our Facebook page. I know some of you may think that I have sold my soul to the devil, but you can be reassured we will continue to buy and stock French and English 1850-1930 furniture and curios! Our next container arrives in two weeks time. A new container has just arrived at Louis’. We will be posting pictures of some of the new furniture and smalls on our website and Facebook page. Just a brief note to let you know that over the Easter weekend, we will be closed from Friday to Monday. We will be reopening for our usual hours on Tuesday. I will be leaving tonight for Europe and the UK on a buying trip, and will post pictures of any interesting purchases on our Facebook page. We have now updated the New Arrivals gallery on our website. Our next container is due around 30 March. Just a quick note to advise you that our New Arrivals and On the Water galleries have now been updated. I am currently in the United Kingdom seeking out new stock and will be back in the shop on Saturday. Until then, John will be opening the shop during our usual hours. The New Arrivals page on our website will be updated shortly. Just a quick note to let you know that New Arrivals and On The Water pics from our last two containers are now up on the website.